CSOs are discharges from Combined Sewer Systems into a receiving stream. A Combined Sewer System collects both stormwater runoff and sanitary sewage in the same pipes. During dry weather, the Combined Sewer System transports all wastewater directly to Fox Metro’s wastewater treatment plant on Route 31 in Oswego for full treatment before discharging to the Fox River. But during wet weather events, the volume of wastewater occasionally exceeds the Fox Metro’s treatment capacity and the excess flow must be discharged directly to the Fox River with either partial or no treatment. Combined Sewer Systems are common in older municipalities of Illinois, such as Chicago, Peoria, Bloomington, Elgin and Aurora. Yes, CSOs are legal and permitted by the Illinois Environmental Protection Agency (IEPA) and United States Environmental Protection Agency (USEPA) as part of the National Pollutant Discharge Elimination System. Every month, Fox Metro submits a Discharge Monitoring Report (DMR) to the IEPA. Most months, the number of discharges is zero. This DMR has various reporting requirements, such as duration of the CSO event, amount of precipitation, and water chemistry testing. Where are the CSOs located? Fox Metro owns one (1) CSO and it is in the box culvert located at the upstream end of Fox Metro’s facility near the railroad tracks. There is also a CSO notification sign near the river. View of the CSO Box Culvert discharge point on the Fox River. A map shows the location of the CSO along the river. The City of Aurora also owns several CSOs. What is being done to reduce the occurrence of CSO events? In 2010, Fox Metro submitted a CSO Long Term Control Plan (LTCP) to the IEPA and USEPA that outlined a multi-phased approach to reducing the number of CSO events to a maximum of 4 per year. In 2012, the first Phase of the LTCP was completed and included improvements to increase the plant’s capacity by 54 million gallons per day (mgd) during wet weather events. Added to Fox Metro’s existing capacity, the new total of 139 mgd at design peak flow has drastically reduced the number of CSO events. Six phases of the LTCP are scheduled to be completed by the year 2025. How often do CSO events occur? Fox Metro has worked hard to reduce the number of CSO events per year. Since the 2012 improvements, the average number of CSO events per year from 2012 to 2017 is less than 1. These events are usually due to extremely high precipitation events, like flooding, where the plant does not have sufficient capacity to treat all of the wastewater coming into the plant. Bar chart showing the number of CSO events per year since Fox Metro’s 2012 improvements. A large percentage of the wastewater flow entering into Fox Metro is stormwater from the Combined Sewer System in Aurora. Therefore, the wastewater discharged into the Fox River during a CSO event is mostly comprised of stormwater. What are the health risks of CSOs? CSOs contain highly diluted sewage with bacteria that may cause illness. 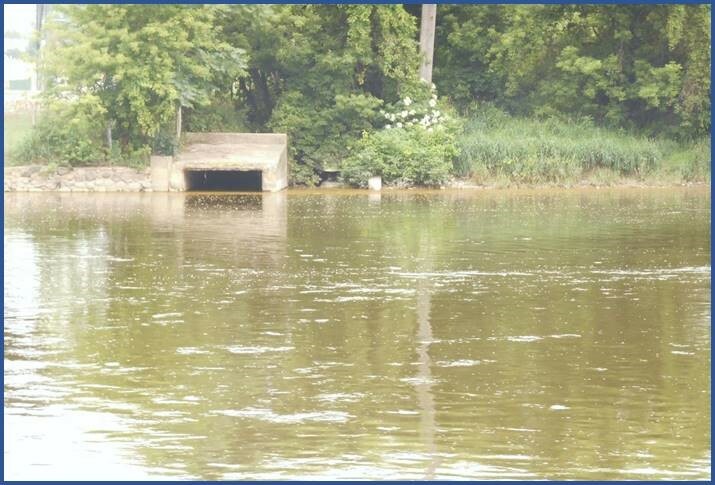 Therefore, swimming, canoeing, or other activities that result in body contact with the Fox River should be avoided during and after a rainfall. Pets should also avoid contact with the water at this time. Since the CSO events usually occur when the river is at flood stage, it would be wise to obey any issued river advisories for general safety purposes, regardless of CSO events. 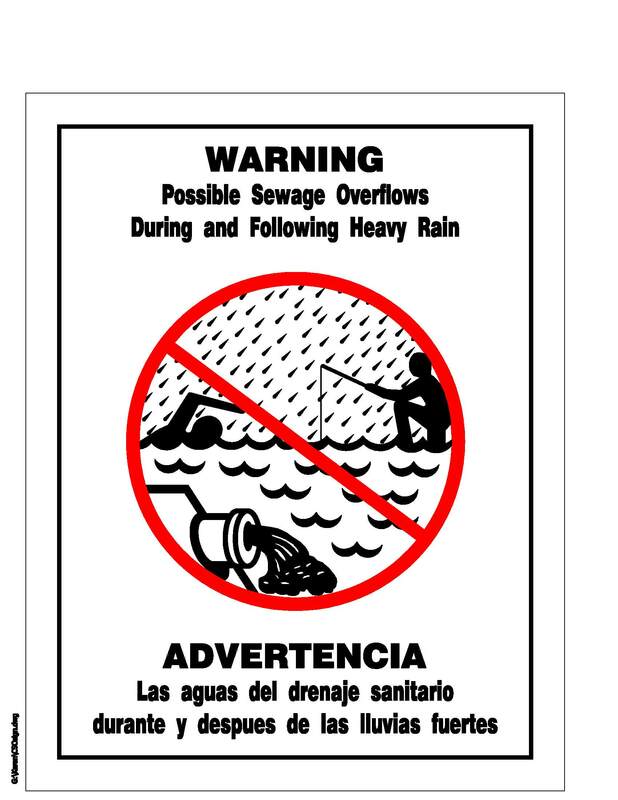 During heavy rain events, every gallon of wastewater and stormwater that can be kept out of the sewer system is a gallon that will not be part of a CSO discharge. For wastewater discharges, please avoid unnecessary water usage, such as: showering/bathing, toilet flushing, dishwashing, laundry, etc. For stormwater discharges, using rain barrels and cisterns to collect rainwater runoff can help reduce flows to the system. Rain barrels also can reduce drinking water bills by reusing water for garden and landscape watering. Sump pumps that connect to the sanitary sewer system are illegal and flow should be rerouted to yards. A licensed plumber should be able to advise residents on the most appropriate methods of removing a specific illegal connection.